The ancient and completely natural technique of baking bread. 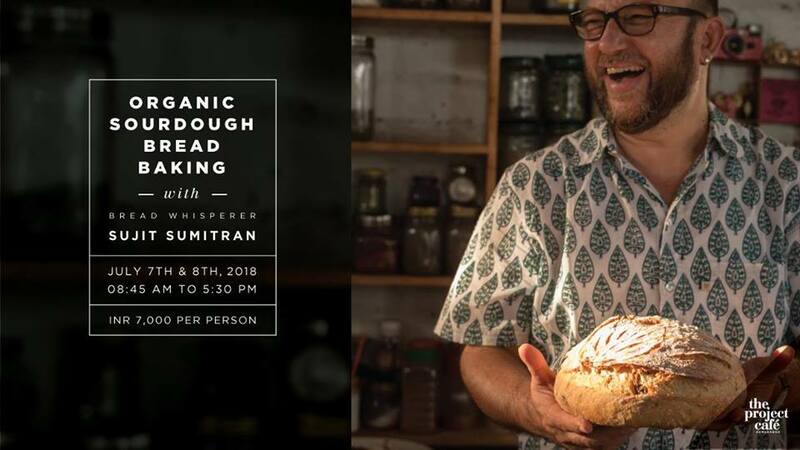 Learn this ancient art from Sujit Sumitran – The Bread Whisperer from Goa, India’s most experienced and authentic sourdough baker at The Project Café, Ahmedabad. All ingredients, bake-ware and equipment will be provided. The workshop also includes 2 types of fresh sourdough breads paired with Vegetable Ishtu – a delicacy from Kerala, cooked by Sudha Sumitran and more. The 1-day hands-on workshop, for 10 participants each, has the same content across 2 batches.